How should a traditional Christian regard mediumship, the intentional contact with the dead? Probably most traditional Christians oppose mediumship, referring to its clear condemnation in the Hebrew Bible. It doesn’t help matters that some mediums make no secret of their hostility to Christianity (although others would consider themselves to be in the Christian tradition). I believe that genuine mediumship (as opposed to fake mediums who prey on the gullible by “cold reading” the speech and body language of sitters) can be reconciled with traditional Christianity if such a gift is used with care. The Hebrew Bible condemns mediumship because of its association with pagan religious practices in the ancient world, so those passages condemning it do not necessarily apply to Christian mediums. I am assuming throughout this post that some gifted mediums receive genuine messages from the dead rather than messages from the living through enhanced psi abilities (the so-called “super-psi hypothesis”). The case of the famous medium Mrs. Leonora Piper (1857-1950) convinced me beyond a reasonable doubt that a talented medium could communicate with the surviving personalities of persons who have died. Everyone probably has some psi ability, whether that ability be telepathy (mind to mind communication apart from normal means), clairvoyance (receiving information from the non-human environment), or psychokinesis (PK, the ability to move objects using the mind alone). But some individuals are especially gifted in one or more of these skills. After all, not all of us have the same athletic skills, mechanical skills, or intellectual abilities–why should the situation be any different with psi? And since a medium would be communicating with the dead through psi, a good medium would have at least good telepathic abilities. All talents, from a Christian point of view, are gifts from God over which we exercise a stewardship. We have a moral obligation to use whatever talents we have been given in a responsible way. For example, someone with the gift of persuasion might be able to sell snake oil and make a great deal of money, but this behavior would be a misuse of the talent God gave the person. A genuine medium may care only about money and overcharge clients, or may be seeking power from the dead. These are both bad motives for mediumship. Seeking power from the dead is more dangerous than money lust, since all power is of God and is given on loan from God–it should be used for His glory and not ultimately for our self-gratification or use to manipulate and dominate others. 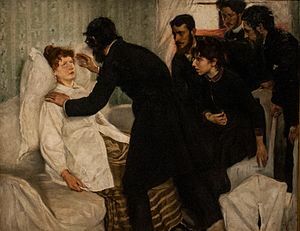 The proper motive for using the talent of mediumship is to help people deal with their grief, and perhaps to remove barriers to their faith in an afterlife. Mediumship can only provide, at best, a kind of “natural knowledge” of the afterlife which should be completed by Scripture and the teachings of the Church. However, if knowing that a loved one is okay gives comfort to a grieving person, I see no problem for a Christian medium to contact the dead loved one for that reason. Or if someone who is agonizing over doubts about faith comes to a medium, the communication with the dead can at least remove one major barrier to accepting the fullness of Christian faith. Such a gift should be used very carefully, with much prayer and with discernment. If the medium senses that the communicator may not be the person he claims to be, the medium should immediately break the link. Traditional Christianity accepts the existence of Satan and other fallen angels, who could try to twist what is a good gift into something that damages a vulnerable person. So mediums should tread with caution. But if they take proper precautions, pray, and practice their talent for the right motive, I do not see any reason why someone could not practice as a Christian medium.